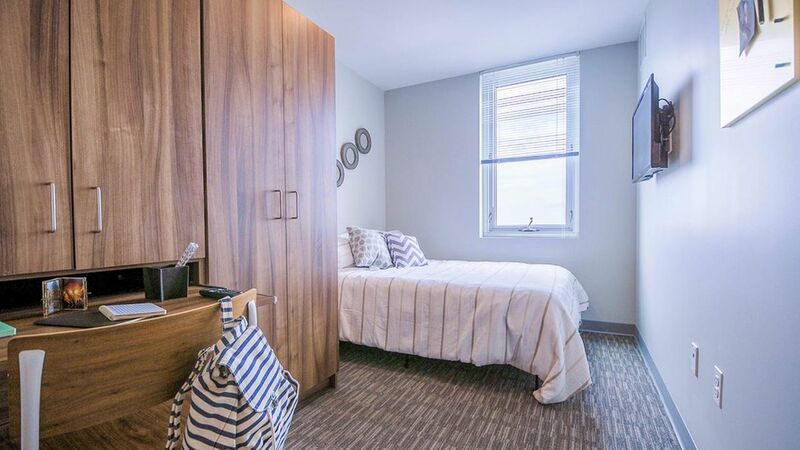 Enjoy state-of-the-art student living right in the heart of Campustown. Step outside your front door and grab a coffee from Panera Bread café on your way to class, or swing by Fat Sandwich Company to dig into a breakfast sandwich. After class, while away the afternoon wandering around the University of Illinois Arboretum or skating at Illinois Ice Arena. You can spend the evening enjoying a performance at the historic Virginia Theatre, or dancing to live music at The Canopy Club. 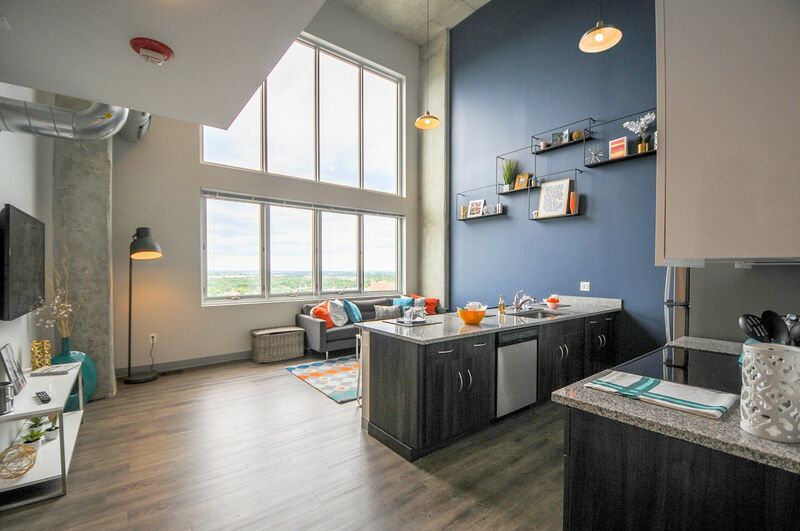 Enjoy state-of-the-art student living right in the heart of Campustown. 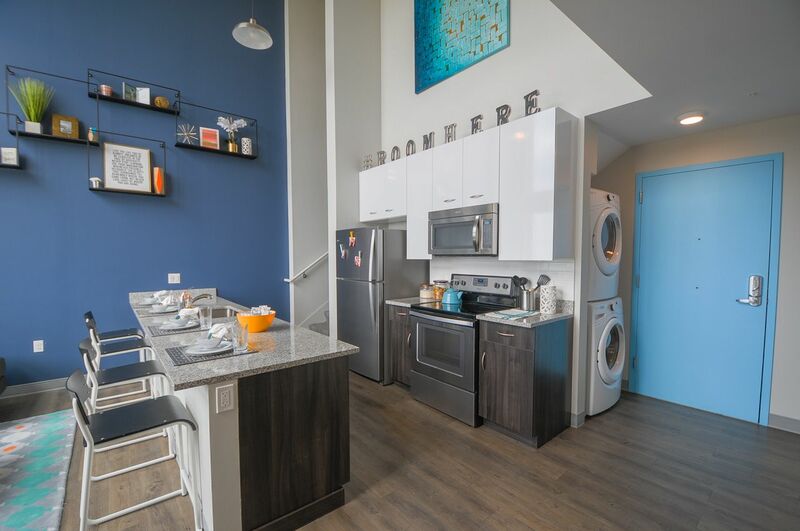 Live within just a few blocks of the University of Illinois, and walk to class or rent a long board from the office. You can catch the bus and arrive at Parkland College in under half an hour, or drive there and when you get back from class, park your car in HERE’s secure Valet garage. If you want to leave town for the weekend, Chicago is just a short trip away - the Illinois Terminal station is just a few blocks away. Once you’re back home, take some time to unwind in HERE’s beautiful common areas. Jump into the hot tub on the rooftop terrace, relax on one of the outdoor armchairs or head to the grills for a barbecue with your neighbors. Then, hit the gym or yoga studio for a workout, and ease your aching muscles in the sauna. You can watch a movie with friends in the on-site theater, or have a blast in the bowling alley. When it’s time to hit the books, grab a latte from the Café, located right in the main lobby and head to a group study lounge. Don’t worry, there’s WiFi throughout the entire building. Back home, you can prepare a bite to eat on the granite countertops of your kitchen, before putting a load of laundry in the washer/dryer. Then, finish your evening on the couch watching your favorite shows on the 50-inch flat-screen TV. Relax knowing you’re secure with 24-hour on-call staff, security cameras and electronic access keys. You won't have any unexpected bills at HERE as utilities like cable, water, internet, trash, and even an allowance towards Electric ($30 cap), are included. Book and refer a friend and receive a $200 gift! Book and refer a friend and receive a $200 gift! Book and refer a friend and receive a $200 gift! We couldn't find a room that matches your preferencesView all Private Room in HERE.